Freeport, ME -- Judith (Maloney) Belyea, 77, died on Sunday, December 18, 2016 at Freeport Nursing and Rehab. She was the wife of the late Ronald J. Belyea Sr. who died in 1992. She was born on May 21, 1939, in Rockland a daughter of the late Frank and Madeline (Burton) Maloney. She grew up in South Thomaston and attended local schools graduating from Rockland District High School the class of 1957. 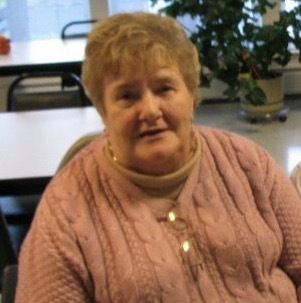 She married in 1958 in Rockland and raised her family there. Judith primarily was a homemaker occasionally working off and on as a switchboard operator at the telephone company and at Finest Grocery store cashiering, meat room and produce room. She loved camping and even bought herself a motor-home after her husband died and would travel around meeting new friends. She traveled with friends to Mexico, California and Arizona. She loved having flowers and watching the birds. Her grandchildren and great grandchildren were her pride and joy. She is survived by her son Ronald Belyea, Jr. of Sarasota, FL, two daughters Brenda Munroe and her husband James of Rockport and Terri Belyea and partner Jeffrey Knight of Warren. She also leaves her grandchildren Sheree, Alison, Kayla, Lilli and Liza and her great grandchildren Jadynn, Mackenzie, Tessa and Cody. At her request there will be no services. A private burial will be held in the Spring at Village Cemetery, Thomaston.